Are you looking for cheap unicorn deals? 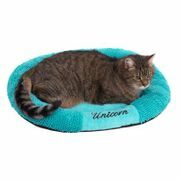 Find anything unicorn related here including toys, makeup, tops, candles, lamps and so much more! Get the best deals and voucher codes from Amazon, eBay, John Lewis, Argos, Sainsbury's and Tesco. Take advantage price drops and daily discounts found by our savvy team or bargain hunters! 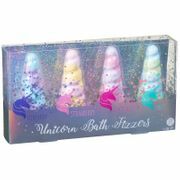 Unicorn Ice Cream Cones £1.15 for 4! Unicorns are magical and mystical creatures that are popping up everywhere and have been around much longer than most of us think. They have been one of the biggest trends of 2017, and will probably be in 2018 as well. From holographic nails to unicorn toast, millennials have been going crazy for all things unicorn that are glittery and multi-coloured. And while the fascination for these mythical creatures is nothing new, the craze is not about to die anytime soon. If there’s a believer in your life that you love, there are many magical cheap unicorn gifts to enchant them with. Here at Latest Deals, you will be amazed at the unicorn deals our massive community of bargain hunters have found from unicorn gift shops online. 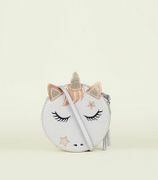 From unicorn gifts and toys to unicorn lamp in the UK and all sorts of unicorn merchandise, you are sure to find the perfect gift for yourself and your loved ones. We have the latest unicorns for sale, offers, deals and voucher codes from Amazon, Asda, Sainsbury’s, eBay, Matalan, Wowcher, I Want One of Those and more! Where Can I Find Unicorn Merchandise? Urban Outfitters. You can find unicorn-themed Pool toys, books, phone cases and colouring books at Urban Outfitters. Liberty London. Liberty London offers unicorn snot glitter gel and cute unicorn cupcakes for your kids to enjoy. Selfridges. You can find a wide array of unicorn merchandise in Selfridges like makeup, shower caps, stationeries, unicorn blow up horns and even paper clip dispensers. You will also find cute trainers at their kid’s department as well as My Little Pony merchandise. Firebox. Firebox is an online store where you can find cool gadgets and plenty of unicorn items like a life-size unicorn, unicorn tears gin and so much more. Paperchase. This brick and mortar shop has an excellent online presence and Paperchase always offer something with the unicorn theme like necklaces, bags, pens, colouring books and more. Irregular Choice. An emporium of wonderfully outlandish designs is a mecca for accessories that make an entrance. Irregular choice has truly amazing collections of unicorn merchandise. Rock on Ruby. An online slogan t-shirt company, Rock on Ruby is mad about unicorns. They have unicorn-themed tops, bags, mugs and even mobile cases. Topshop. You will see unicorns everywhere on Topshop, from socks to poncho, and from festival headbands to candles and even My Little Pony merchandise. Here’s a list of the best unicorn toys & gifts you can find online. Make sure to check out the discount codes and voucher codes we have here at Latest Deals from the retailers featured here to take advantage of fantastic savings. Unicorn Lamp, £35 at Red Candy. If you’re looking for a unicorn lamp, you can bring a whimsical ambience into any room in your home with a colour-changing with a LED-powered bulb. This lamp phases through all the colours of the rainbow and you can also pause on your favourite one. Firebox Unicorn Tears Gin Liqueur, £40 at John Lewis. High on juniper and jam-packed with flavours of candied orange, herbs and spice, this is the ideal gift for older unicorn fans. Best of all, it contains edible iridescent glitter that sparkles as you clink glasses. Tefal Non-stick Unicorn Pancake Pan Bundle, £15 at Asda. Tefal has answered our prayers with a unicorn frying pan, which allows you to create pancakes in the shape of a mythical creature. With its new and improved non-stick coating, you can enjoy fuss free-frying and flip your crepes with ease. This bundle comes complete with a squeezy bottle with a precision tip. I Heart Makeup Unicorn Heart Rainbow Highlighter, £5 at Superdrug. Get an otherworldly glow with this heart-shaped highlighter from the sister brand of Makeup Revolution, I Heart Makeup. Beautifully pigmented, it features five shades to give a subtle rainbow effect to your cheeks. It’s also extremely buildable. Swipe on using a fan brush for instant radiance. George Unicorn 12 Piece Dinner Set, £25 at Asda. Asda has launched a homeware collection devoted entirely to unicorns. This 12-piece porcelain dinner set, featuring everything you need to serve up a magical meal, including bowls, dinner plates and side plates. Ginger Ray Foil Balloon Unicorn Bunting, £5 at Amazon. Deck the halls with this colourful unicorn bunting, which comes with 1m of clear string for you to thread with. With no helium needed, it’s easy to hang and comes with a matching unicorn balloon to help create a stunning display. Unicorn Lashes Original Unicorn Brush Set, £45 at Urban Outfitters. Featuring glossy handles and rainbow-coloured bristles, these unicorn-approved brushes blend makeup well and are vegan-friendly. The set includes 10 brushes for working with every type of product, from foundation and concealer to eye shadow and highlighter. If that’s not enough, it comes beautifully arranged in an eye-catching Diamond Unicorn Bag case. Tee & Cake 'I'm So Fancy' Unicorn Boxy Sweat Top, £32 at Topshop. Embellished with a sassy slogan and unicorn at the front, this boxy fit sweater feels like a hug in clothing form. The lightweight staple can be layered or worn on its own, making it perfect for those transitional months. Nattou Jade Unicorn Rocker, £100 at John Lewis. This divinely crafted unicorn rocker is what dreams are made of. With a fully-padded seat and safety harness, it’s super-stable to ensure your little one is secure whilst rocking. It’s suitable for children ages 10 months and up. Unicorns have been around since the dawn of time. They may have look different today with their cute guise, but they’ve been mention in folk and fables since the beginning of time. Their horns are multi-coloured, and they are animals that were powerful and swift that neither the horse nor any other creature could overtake them. They embody the free spirit, the perfect and the independent. They are everything we aspire and struggle to be. Brit’s obsession with unicorns is nothing new, with social media, they have just found a different way of showing it. Today, unicorns are everywhere. The trend started picking up in 2016 and since then it has been growing and growing with no signs of ever slowing down. Most people when asked what is it with unicorns that’s so fascinating that they become obsessed with them, and they could not define a specific thing or moment that got them into these creatures. What is seeming is that there is a link between unicorns and a whole heap of other trends, which perhaps is the reason, why they have come to pervade so many different groups and tribes of people. Unicorns are not just for kids, and its biggest potential is with the adults who seem to have latched onto this trend with delight.